President Barack Obama has assured Prime Minister Manmohan Singh that the US-China joint statement issued on his visit to Beijing earlier this month was not an endorsement of Chinese mediation in the India-Pakistan dispute. The PM said Obama told him that the intention of that statement was not to support any “third-party intervention in issues in South Asia.” Manmohan said he was “very satisfied” with Obama’s assurance on an issue that caused much heartburn in New Delhi. India opposes third-party mediation in the dispute with Pakistan over Kashmir. Manmohan told Obama that India welcomes the “peaceful rise” of China and was in favour of the rest of the world engaging with the Asian power. “We also are engaged with China. For the last five years, we have been discussing the border problem, meanwhile, our economic relations have grown.... China is one of our major trading partners,” he pointed out. On Iran, the PM said India and the Islamic republic share a good relationship. In his meetings with his American interlocutors, he said he mentioned the fact that Iran’s Foreign Minister, on a recent visit to New Delhi, had called on him and expressed optimism over “good messages” from the Obama administration. On Afghanistan, the PM said Obama told him that the US “highly values” India's role in reconstruction and development of the war-ravaged country. Manmohan, who met several Republican Democratic as well as Republican lawmakers while in Washington, said there was bipartisan support for India’s role in Afghanistan. This role is viewed with suspicion by Pakistan. 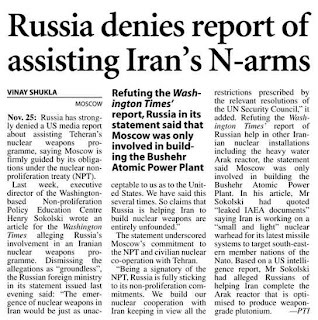 The PM described as “minor problems” the sticking points in the discussions on reprocessing dedicated facilities needed for the implementation of the civilian nuclear deal. He said these were “not insurmountable barriers” and reiterated that the US and India were committed to the early and full implementation of the nuclear deal. This, he said, will pave the way for transfers of high-technology items from the US to India. The PM welcomed Obama’s commitment to ensuring a “comprehensive and balanced” outcome at the climate change conference in Copenhagen next month. He said that based on his discussions in Washington he was confident that the US and India can not only continue but also strengthen the momentum of our relations built up in the last few years. The PM said he looked forward to welcoming the Obamas to India in 2010. “President Obama recognised the important role India-US relations can play in meeting the global challenges of the 21st century,” he said, adding both leaders agreed that this was a “historic opportunity” for India and the United States to work together for world peace and stability. 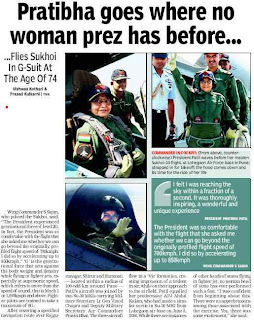 President Pratibha Patil, who made history by becoming the world's first woman president to fly in a fighter jet, descended from an Indian Air Force (IAF) Sukhoi-30 MKI in a G-suit instead of her trademark sari. 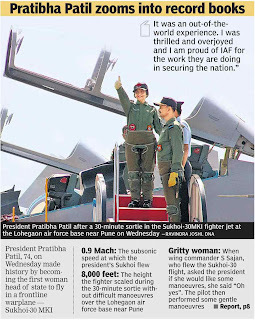 An elated Patil flashed a victory sign and a beaming smile as she alighted after a nearly 30-minute subsonic (less than the speed of the sound) flight. Then a confident-looking president shook hands with all the air warriors present at the Lohegaon Air Base here. “There was not any sort of apprehension, but there was excitement. I was right from the beginning, very confident. I'm confident even now,” Patil said at a press conference after the flight. 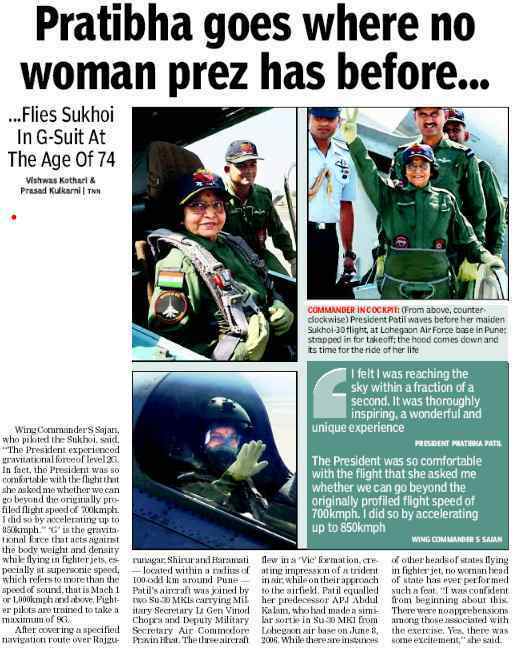 The president, who almost always wears saris, looked strikingly different in her olive green G-suit and IAF cap. “Today I had a wonderful and unique experience. I am reassured that we are well equipped and they (the armed forces) have the strength to protect our border. I feel proud at this moment... The aircraft was very sophisticated. I was instructed by the pilot how to manoeuvre and I could do that." Commending the role of Indian navy in fighting pirates at the Gulf of Aden, the world's maritime controlling agency has awarded a special certificate to the forces. A special 'Certificate of Commendation' was presented to the navy, which had deployed twelve ships off the coast of Somalia till July 2009 by the London-based UN agency, International Maritime Organisation. Commodore P K Banerjee, Naval Adviser in London and also the commanding officer of one of the warships, which took part in international anti-piracy patrols received the award from E E Mitropoulos, IMO Secretary General at a ceremony held here. Nalin Surie, the High Commissioner of India to UK, Georg Boomgaarden, Ambassador of the Federal Republic of Germany and President of IMO Assembly, were among dignitaries present on the occasion. Indian naval ships have escorted about 700 merchant ships, including 600 foreign-flagged vessels from over 45 countries, during anti-piracy patrols in the Gulf of Aden since October 2008. The award ceremony coincided with the inauguration of the 26th Regular Session of the IMO Assembly here. Pakistan army has arrested a retired Major for his alleged links with terror suspects David Coleman Headley and Tahawwur Hussain Rana, nabbed by Federal Bureau of Investigation (FBI) on charges of plotting attacks against India and Denmark. Chief military spokesman Maj Gen Athar Abbas said the Major, who retired two years ago, has been arrested and is currently being questioned by intelligence agencies. He was held as he was "in communication" with Headley and Rana, Abbas said. However, Abbas denied a report that five army officers, including two serving colonels and a retired brigadier, had been detained by authorities, describing it as a "fabrication" by those running a "campaign" to embarrass the Pakistan Army. 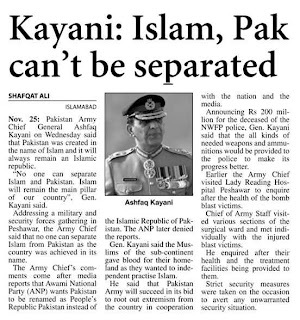 The retired Major, who was not identified, was reportedly arrested in the garrison city of Rawalpindi that houses the Pakistan Army's General Headquarters. He was taken into custody after FBI gathered information that he was in e-mail and telephonic contact with Pakistani-origin Chicago resident Headley (49) and Pakistan- born Canadian national Rana (48). Headley and Rana were in contact with the Lashker-e-Taiba and militant commander Ilyas Kashmiri, the FBI has said. According to documents filed in court by the FBI, Headley travelled to Pakistan to meet a man identified only as 'individual A' and they together visited Kashmiri in the restive tribal belt bordering Afghanistan. The FBI said Headley travelled to Pakistan this year and was headed there again when he was arrested on October 3 at Chicago's O'Hare Airport. After getting the power to requisition any aircraft during emergencies, the NSG has got the approval of the Indian Air Force (IAF) to use its planes to transport commandos for anti-terror duties. The NSG, in the aftermath of the November 26 Mumbai attacks last year, had signed a Memorandum of Understanding (MoU) with eight different private airlines enabling it to requisition any aircraft for immediate transport of commandos. "It has been officially formalised that the IAF will provide us air support in case any assistance is needed. 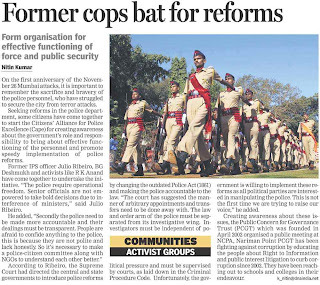 The Air Force will also assist in training," National Security Guard (NSG) Director General N P S Aulak said. "We are thinking of having helicopters, which in a way would be a dedicated one (for NSG), but they would either be with the Air Force or with the Home ministry's air wing. "We have not sent the proposal as yet to the government. 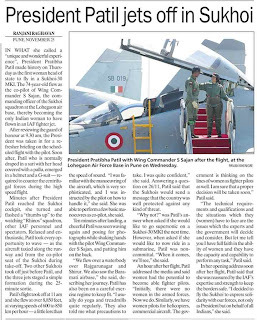 We don't want to have an exclusive air wing as then you need pilots, technical staff and parking hangars etc.," Aulakh said. 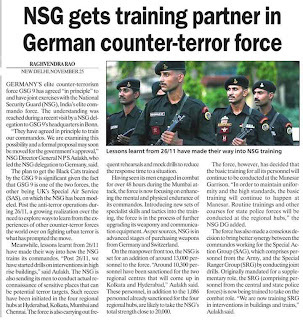 The NSG will also have additional 13,000 men in its ranks as the force is in process of fully operationalising the four new hubs and two regional centres across the country. "The strength of the force has been enhanced by about 13,000 men and their induction has begun.The initial batches are being put under training and further induction will take place simultaneously," Aulakh said. The time taken by NSG commandos to travel to Mumbai from their Manesar (Haryana) garrison during the 26/11 attack prompted the government to amend the NSG Act, which till then only authorised the force chief to requisition an aircraft for anti-hijack duties. The DG said that the force can also get aircraft and helicopters from the Home ministry's air wing or from the Cabinet Secretariat-- known as the Aviation Research Centre (ARC). 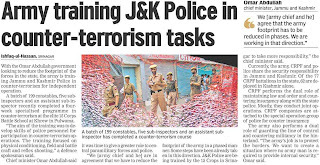 Aulakh, who took charge of the force on February 28 this year, said the commandos are now being imparted new training skills and tactics to "enhance their mental and physical endurance". 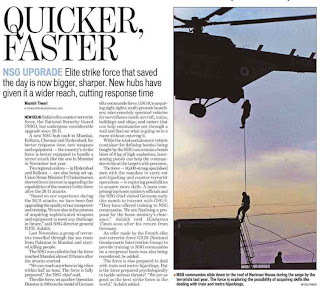 "Special tactics and skills are being imparted to commandos to enhance their physical and mental endurance. The men are already very tough but during the Mumbai operation we saw that they continuously fought for more than two days...," he said. 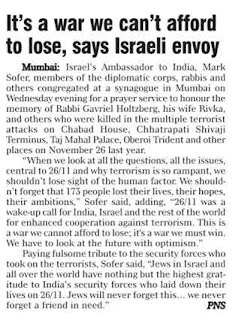 Post 26/11, an upgrade in weaponry, surveillance and communication equipment has also taken place and we are procuring special weapons from various foreign countries, he said. In an exclusive interview to NDTV, the Chief of the National Security Guard (NSG) says that his Force is now in a position to reach the location of a terror attack within minutes. 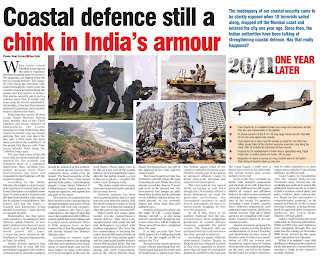 During 26/11, NSG commandos took hours to reach Mumbai from Delhi. N P S Aulakh, Director General, NSG, tells NDTV, "It's clear that the terrorists who targeted Mumbai had detailed plans of the buildings they struck. Similar intelligence was not available to the commandos." Aulakh shares that new tactics being used by the NSG include toughening commandos, mentally and physically. Ironically enough, the slide in India-China relations began in just days before the November 2006 visit of Hu Jintao, supposedly intended to showcase an upswing in the relations. It began when the then Chinese Ambassador to India, Sun Yuxi, made a rather indiscreet and untimely comment to a TV news channel that the status of Arunachal Pradesh was still an unresolved issue between the two countries. Whether Sun Yuxi made this comment as a mere restatement of the old Chinese position for the record or to deliberately stir the pot will be debated for a long time. Sun Yuxi himself told me that he did not intend it to stir things up and that the partly American-owned TV channel deliberately played it up to blight the improving ties. Sun Yuxi also, quite significantly, added that while he might have been indiscreet, his statement won him a great deal of support from groups in China who favour a hard line with India, ever since it began to draw closer to the USA. 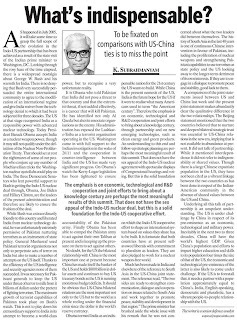 Many in China believe that India is now part of a US attempt to encircle it and even Prakash Karat of our CPM has echoed this view. The result of the Sun Yuxi statement was that what had become a mere border alignment issue was once again transformed into a territorial issue. The thaw in our ties was initiated when Deng Xiaoping made an offer to Rajiv Gandhi in December 1988 to settle the border dispute on an as-is-where-is basis. The politically beleaguered Rajiv Gandhi felt that he did have the political capital for a deal to essentially forego claims on Aksai Chin in exchange for an alignment generally corresponding McMahon Line. The two leaders then agreed to keep the issue frozen for settlement "at some future time". Following this and the agreements consequent to the visits of Narasimha Rao and Atal Behari Vajpayee, it was generally believed in India that the Chinese claim on Arunachal Pradesh was now in the past. While releasing my book "India China Relations: The Border Issue and Beyond" earlier this year, in response to a pointed question from a journalist, the then Foreign Secretary strongly hinted that a settlement along the status quo might now be more acceptable to the Indian leadership. 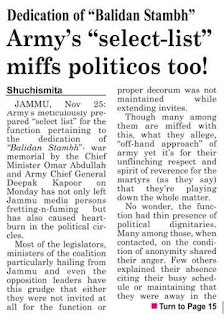 As if the border row wasn't enough to heat up relations, other issues too have cropped up. There is the question of the Dalai Lama's continued residence in India which surfaced even as the waters of distrust began receding. China's inability to deal with the increasing Tibetan restiveness also makes it angrily point a finger at India. When in India the Dalai Lama is restricted to just performing his ecclesiastical duties, which include tending to the spiritual needs of a large Indian flock adhering to the Tibetan school of Mahayana Buddhism. The Chinese have now taken umbrage over his visit to the ancient monastery at Tawang. Let alone the Dalai Lama's visit, they were even critical of Dr. Manmohan Singh's visit to the state last month. 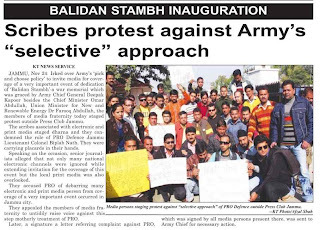 In the recent days the situation has been further vitiated by stories, many of them false, in the Indian media. The global economic crisis has exacerbated problems within China's rapidly growing economy. With US markets' rapidly shrinking, it needs to find markets elsewhere to sustain its export-led growth model. The rapidly growing Sino-Indian trade, but increasingly tilted in China's favour mostly due to an undervalued Yuan, is yet another festering issue. China derives much of its export prowess due to its undervalued Yuan and exploitative labour practices. The economic profligacy of the USA and China's somewhat naïve hoarding of trillions of dollars as reserves make it the USA's co-equal in causing the global economic mayhem. There is no sign that China has derived lessons from this and will revalue the Yuan. The misuse of business visas by Chinese construction companies to bring in tens of thousands of workers into India is now another issue. On the other hand, the issue of visas on a separate sheet of paper to Indian residents of J&K and Arunachal Pradesh in a bid to highlight their disputed status is seen as deliberately provocative by India. Providing a backdrop to all this is China's rather duplicitous role at the Vienna conference to ratify the IAEA's exemption for India from the stringent provisions instituted after our 1974 nuclear test; and its opposition to the expansion of the UN Security Council's permanent membership and by extension India's entry into it. In the recent days several new publications and books have exposed how extensively China assisted in the development of Pakistan's nuclear programme and their delivery systems. Since Pakistan's nuclear programme is entirely India centric, this is in itself is quite revealing about the intensity of Chinese hostility then towards India. The Chinese have been insisting that it was in the past and China is now committed to improving ties with India. But the proof of the pudding is in the eating and China, despite its much vaunted policy culinary abilities, has not yet put it on the table! The writer is a well-known commentator and the author of the recently published "Chasing the Dragon: Will India Catch-up with China?" BALASORE: The debacle of the first ever night trial of India’s nuclear capable Intermediate Range Ballistic Missile (IRBM), Agni-II, has put the credibility of DRDO scientists at stake. The trial was conducted by the Army from the Wheeler Island off Orissa coast yesterday evening. Defence sources said the trial failed to meet many of the mission parameters. For the second time within six months this indigenously built 2000-km plus range missile has failed to deliver desired results which raised doubts on the deployment of the missile, considered as one of the trusted missiles of the country. ‘’Like the unsuccessful previous test on May 19, this time too the missile developed technical glitches at the stage separation phase. Although it crossed the first stage separation phase, because of inherent problem it had cumulative effects on other systems,’’ an official said today. The official indicated that the control and command system to the fins which provides aero-dynamic thrust to the vehicle was locked thereby plunging the missile into the sea. “During the May trial the missile started wandering midway before falling, but this time it directly plunged into the sea. In fact it was one of the worst trials ever,” he said. ‘’Besides, the India-made inertial navigation system (INS) that guided the missile on its coordinated path by mid-way corrections also failed to provide the desired levels of performance. Significantly, during the developmental trials (all successful) foreign made INS used to be fitted into the missile,’’ he pointed out. During post-mission analysis (PMA) it was found that the missile had covered 97 km in nearly 41 seconds while on earlier occasion it had covered around 203 km in 127 seconds. But peculiarly the scientists reportedly claim to have done a great job by launching the missile during night. Meanwhile, several defence analysts have criticised the DRDO for the recurring failures. 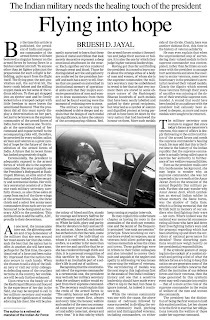 ‘’It is high time the DRDO should come out with facts as to where the faults lie as it relates to the Indian defence and tax payers money. The political class of the country will have to give a pertinent and plausible reply to the recurring failures of the missile programmes,” he added. The establishments like ITR should be brought out of the clutches of the defence research and development laboratory (DRDL) and put under director general quality assurance (DGQA) for impartial evaluation of the technical data and thus minimising the chances of manoeuvring and fabrication of the PMA data. WASHINGTON — President Obama will formally unveil his Afghanistan strategy on Tuesday night in a prime-time televised address before a group of cadets and soldiers at the United States Military Academy at West Point, White House officials said Wednesday. The decision to make the case from West Point is calculated to demonstrate that Mr. Obama, even as he is preparing to send as many as 30,000 additional American troops to war, is well aware of the toll that the wars in Iraq and Afghanistan are taking on the military, administration officials said. While Mr. Obama will discuss the troop increase during his address, which is scheduled for 8 p.m., he will also talk about bringing troops home, as he tries to walk a fine line between demonstrating resolve and reassuring Americans that the commitment to Afghanistan is not open-ended. After the speech, administration officials will fan out to testify on Capitol Hill. The House Armed Services Committee will hold a hearing next Thursday featuring Defense Secretary Robert M. Gates and Adm. Mike Mullen, chairman of the Joint Chiefs of Staff. A committee aide said the panel might also hear from Gen. Stanley A. McChrystal, the American and NATO commander in Afghanistan, the following day or on Dec. 8. In speaking at West Point, the oldest and arguably the most storied of the country’s service academies, Mr. Obama will be following a long tradition of presidents who sought to envelop significant policy initiatives with a cloak of military history and ritual. Mr. Obama, too, will most likely assure the American people next Tuesday that he will take whatever steps are necessary to pursue terrorists and to prevent Al Qaeda from using Afghanistan as a launching pad for attacks on the United States. He will also try to signal resolve to the international community, and specifically Afghanistan and Pakistan, that the United States remains committed to the region. Yet at the same time, he will try to reassure skeptics at home, particularly among members of his own party, that he will not become mired in an unwinnable war in Afghanistan. Mr. Gibbs said Mr. Obama would meet with members of Congress to brief them on his strategy before the West Point speech. There had been speculation that Mr. Obama would reveal his latest strategy for Afghanistan in a speech from the Oval Office — a setting that brings with it the prestige and history of the American presidency. But such addresses can also come across as stark, with the president talking straight into a camera, lacking an audience to play off. Mr. Obama, known for his soaring oratory, often does well when he is making a crucial speech in front of an audience, as with his speech on race in Philadelphia during the presidential primaries last year. Still, he will have a tough job, especially among his allies. On Wednesday, the Center for American Progress, a liberal research organization that is usually supportive of the Obama White House, issued a statement suggesting five demands that Congress should make of the administration before providing any additional financing for the war in Afghanistan. The list was filled with tall orders, like ensuring that the United States’ allies help out, pressing Pakistan to battle extremists and requiring the Afghan government to curb corruption. UNMANNED: Scientific advisor to Defence Minister A K Antony informed the press about the project. Bangalore: India will soon embark on developing an indigenous unmanned combat aerial vehicle (UCAV) for surveillance, detection and destroying specific targets, a top defence official said on Wednesday. "We will soon embark on designing and developing an unmanned combat aerial vehicle, which will not only do surveillance, but will also help detect the target and destroy the identified object," V K Saraswat, scientific advisor to Defence Minister A K Antony, told reporters. An UCAV or 'combat drone' differs from ordinary UAVs as it is designed to deliver weapons. The pilotless vehicle can carry greater payloads and have wide range and manoeuvrability in the absence of a cockpit and associated equipment. The ambitious project will be taken up by the Aeronautical Development Establishment (ADE) of the state-run Defence Research and Development Organisation (DRDO) in Bangalore with private industry participation. "The controls of a combat drone will be rested with multiple command control centres. The centres can be geographically at different locations. Even if one centre becomes defunct, the drone can be controlled and guided by other centres," Saraswat, who recently took over as director general of the DRDO, said on the margins of a conference. 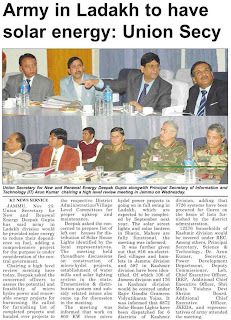 "The UCAV will work in a multi-layer manner for which ADE is developing the required technology, including sensors," Saraswat said after inaugurating the fifth national conference on 'NextGen IT for Indian Defence'. The ADE is already developing a medium altitude long endurance unmanned aerial vehicle (MALE UAV) codenamed Rustom for the three Indian defence services - army, air force and navy. The MALE UAV is still in the experimental stage. The first trial of the prototype, developed by Taneja Aerospace and Aviation Ltd, resulted in a crash Nov 16 near Hosur in Krishnagiri district of western Tamil Nadu, about 40 km from here. The Rustum UAV, with a wingspan of 20 metres and weighing 1,800 kg, has a maximum speed of 225 km per hour and can operate at an altitude of 30,000 feet. "The Rustom UAV will be able to execute surveillance of the enemy territory up to a distance of 250km and carry a variety of cameras and radar for surveillance," Saraswat said. The remote-controlled UAV took off from a private airstrip at Belagondapalli village on the outskirts of Bangalore. After hovering over the Taneja private airstrip for a few minutes, it lost direction and crashed onto an adjacent coconut farm, an ADE official said. "The aerial vehicle was test-flown for research. The remote control device developed a snag and that led to the crash," the official added.